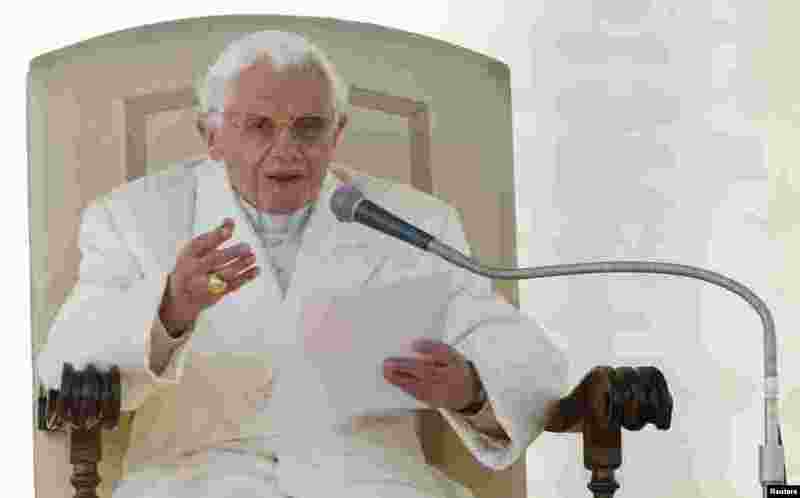 Pope Benedict XVI has held his final audience as head of the Roman Catholic Church, before stepping down from his post on Thursday. 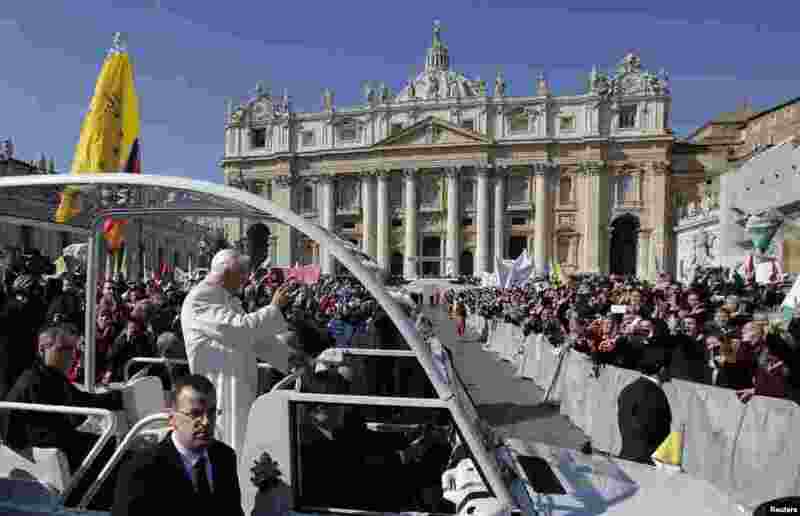 1 Pope Benedict XVI waves to the faithful after arriving in St Peter's Square to hold his last general audience at the Vatican Feb. 27, 2013. 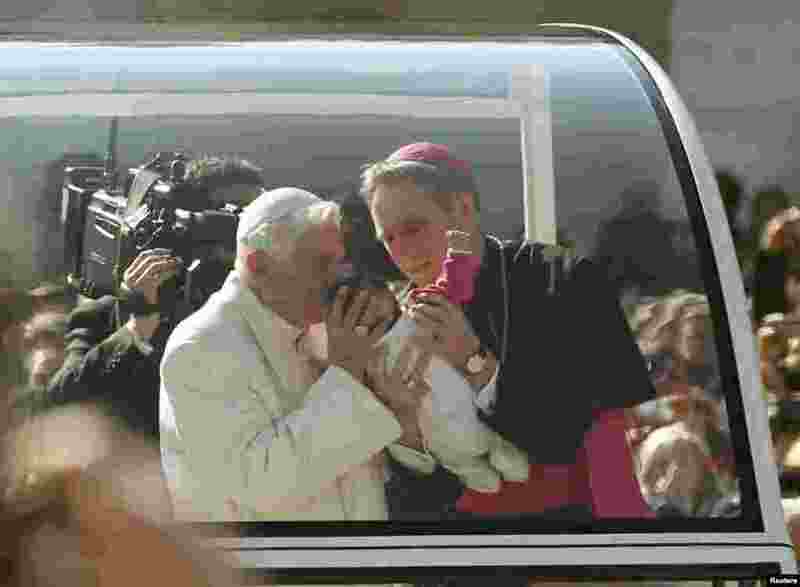 2 Pope Benedict XVI blesses a baby as he rides around St Peter's Square to hold his last general audience at the Vatican Feb. 27, 2013. 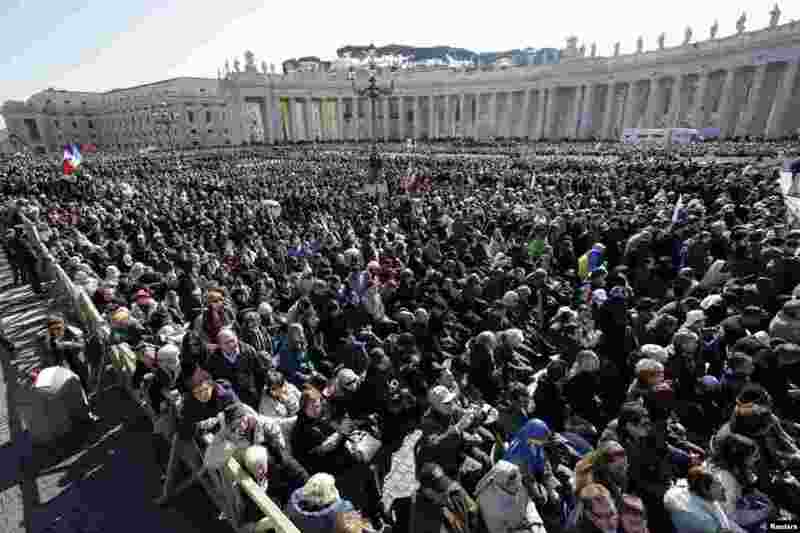 3 The crowd listens to Pope Benedict XVI in St Peter's Square during his last general audience at the Vatican Feb. 27, 2013. 4 Pope Benedict XVI holds his last general audience in St Peter's Square at the Vatican Feb. 27, 2013. 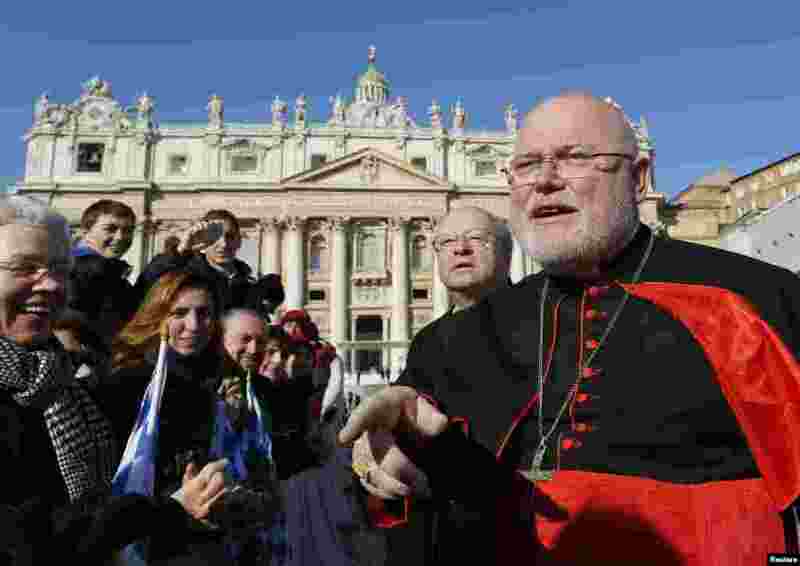 5 German Cardinal Reinhard Marx speaks with the faithful in a packed Saint Peter's Square where Pope Benedict XVI holds his last general audience, at the Vatican Feb. 27, 2013. 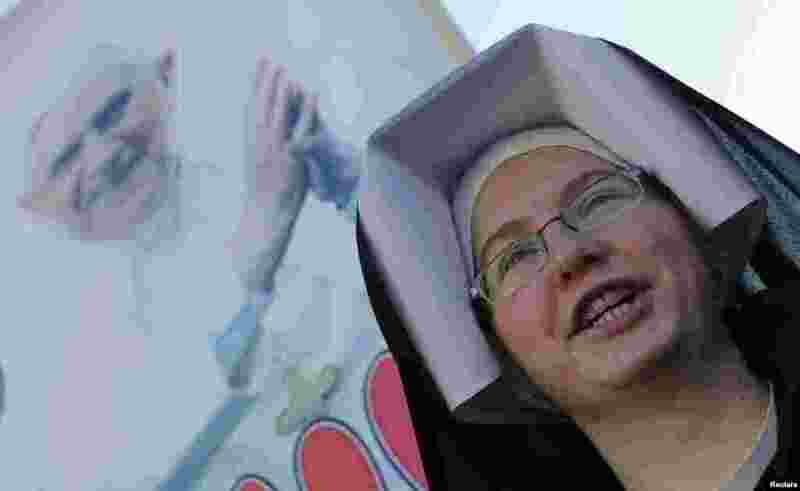 6 A nun waits in a packed Saint Peter's Square where Pope Benedict XVI holds his last general audience, at the Vatican Feb. 27, 2013. 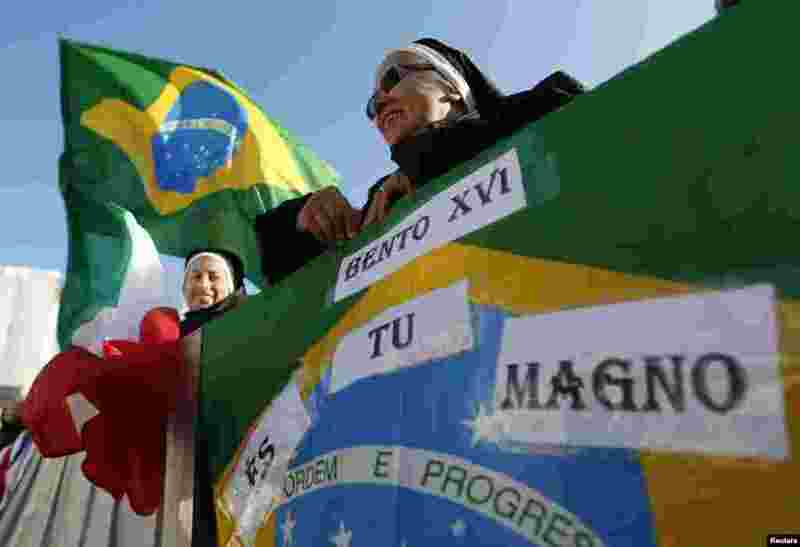 7 Nuns from Brazil wait for the arrival of Pope Benedict XVI to hold his last general audience at St Peter's Square at the Vatican Feb. 27, 2013. 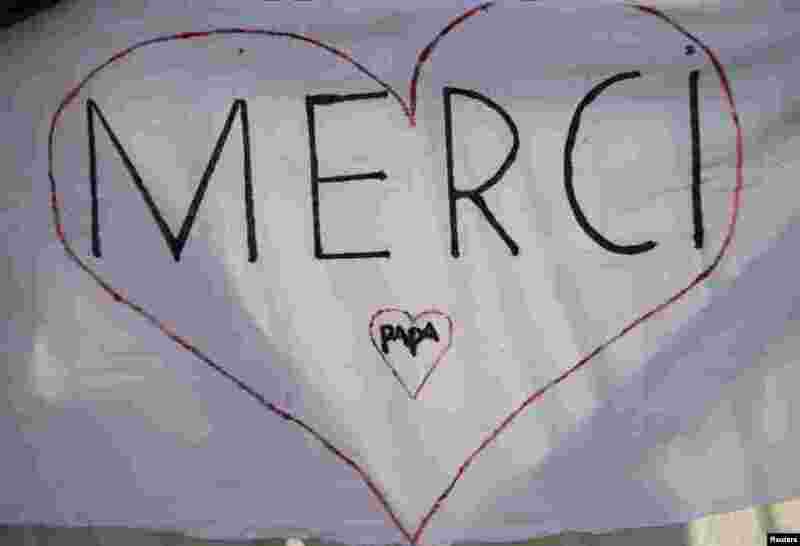 8 A sign reading "Thank you, Pope" in French is seen in St Peter's Square as Pope Benedict XVI holds his last general audience at the Vatican Feb. 27, 2013. 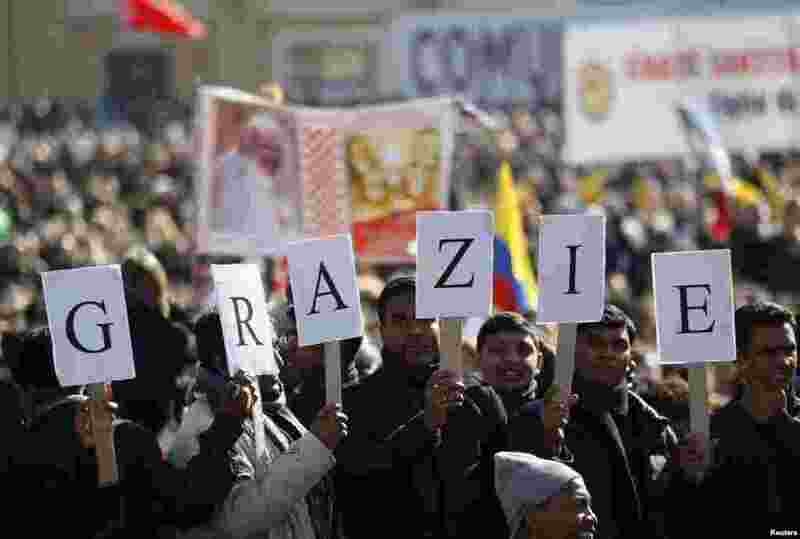 9 A sign reading "Thank you" in Italian is held in St Peter's Square as Pope Benedict XVI holds his last general audience at the Vatican Feb. 27, 2013.